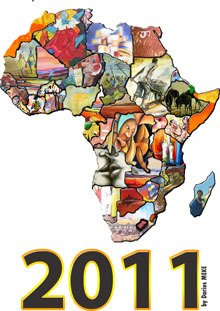 The profile of African art is raised. The value of African art is tracked. African art will begin to acquire an equitable global valuation. Members of The Biggest Painting will visit Beaufort West next week again. This time talks with officials from the Municipality, the Tourism Board, guesthouses and venues. This will prepare for the Biggest Painting workshop with participants from all over the African continent this year. The Biggest Painting team will take part at the launch of the Karoo Highlands Route in Carnavon on the 2nd of October. 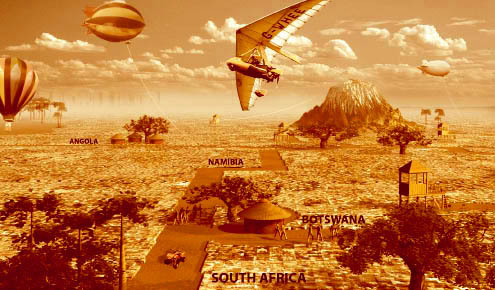 This is an event of the Organisation "Open Africa" which has already launched many routes on the African continent. 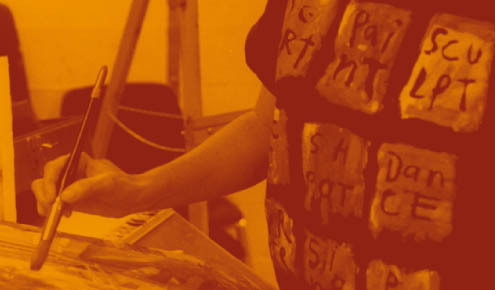 The Biggest Painting site will become one of the main attractions on this tour from late 2011 on! The Biggest Painting Team just came back from the Indaba, the biggest tourism fair in Africa, where the project was presented to key-roleplayers from the tourism industry! 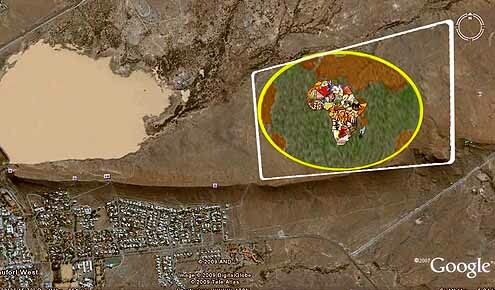 The Biggest Painting in the World collage with a size of 140 soccer fields, will be hosted in Beaufort West, Cape Karoo, Western Cape, situated along the N1 from Johannesburg to Cape Town. Our next step will be a workshop where we will invite representatives from African countries to participate in the detailled planning of the collection of the paintings in their countries.